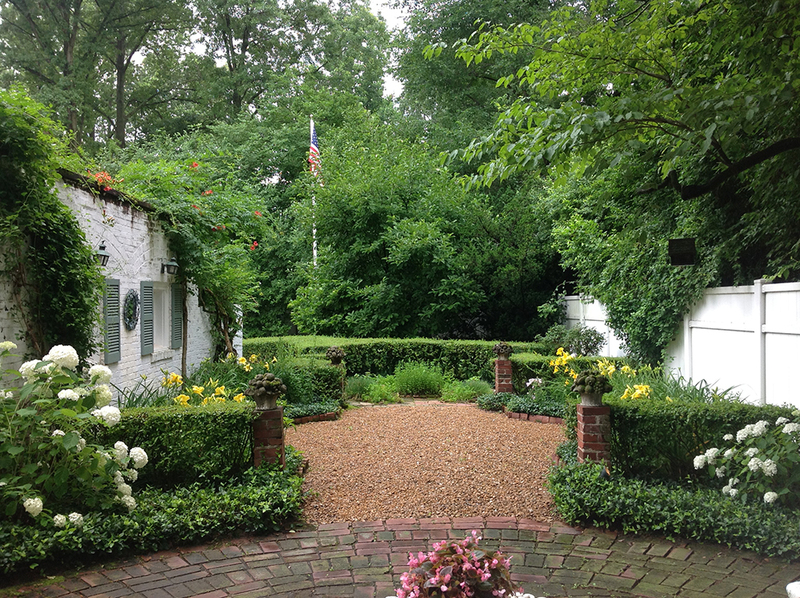 This garden, located in Ladue, Missouri, reflects the vision, planning, implementation and maintenance of a master gardener. The genius loci of the garden underscores the owner’s innate sense of scale, proportion, light and shadow, textural variety of materials and the relationship between the house and the garden. 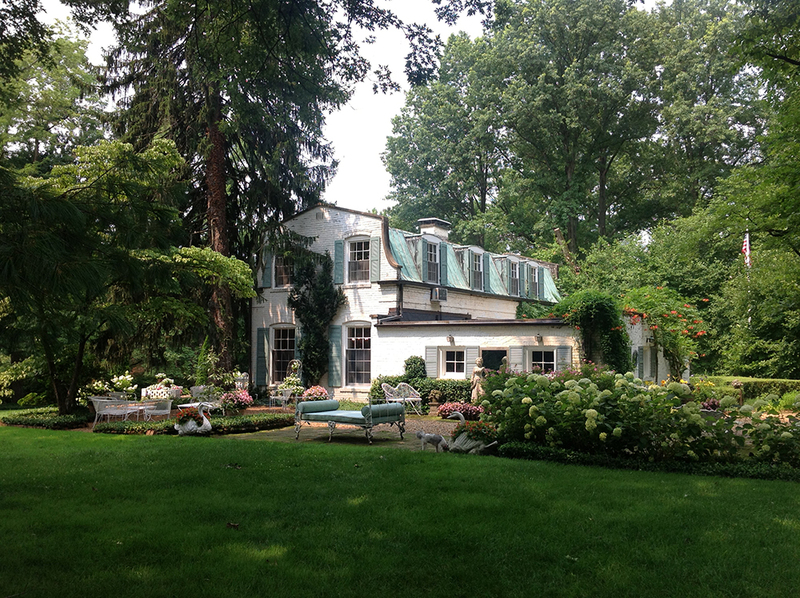 Over a sixty-year period, she has transformed a one-acre parcel into a series of garden zones that collectively express her personal taste and compliment the immediate surroundings. Acquainted with the previous owners, the current owners expressed an interest in purchasing the property if the opportunity ever arose. 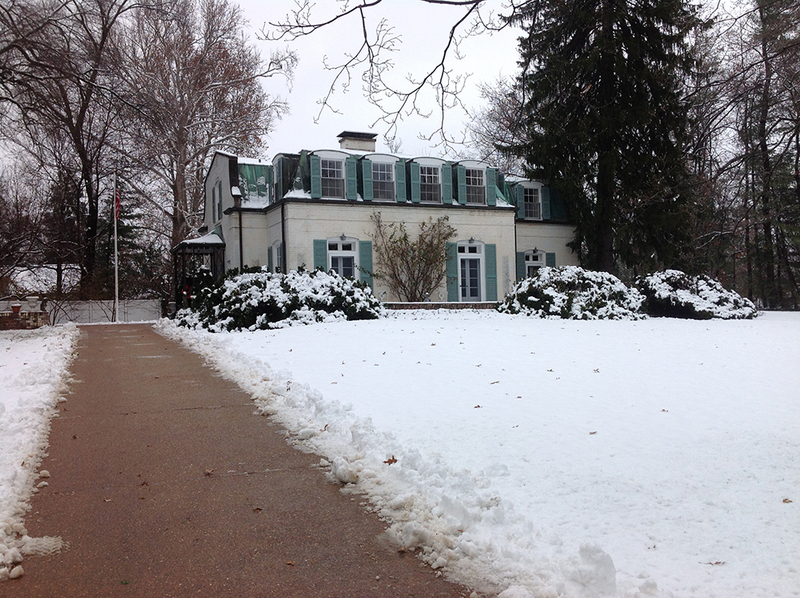 In 1955, the property became available and the couple moved to their Ladue residence and immediately began to transform the property. The residence was designed by the well know local architect Ralph Cole Hall who maintained a design practice with Victor Proetz. Proetz & Hall designs were known for their extreme sophistication with a stylistic preference for the neoclassical designs of the first half of the nineteenth century. 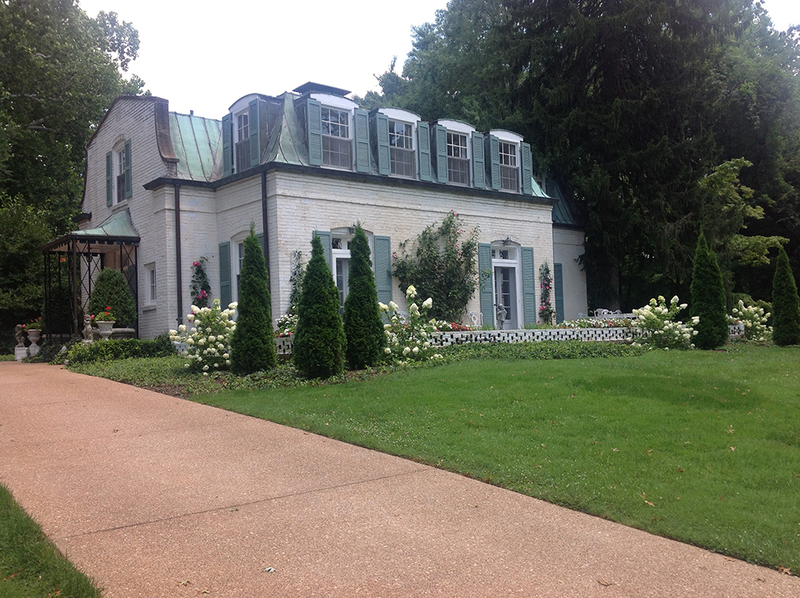 The two story residence is characteristic of other Proetz & Hall houses found in St. Louis as it contains a staining seam cooper roof, stepped gable end brick walls, and a generous amount of dormer windows. The house is sited in such way to maximize lot frontage along a major road to the south as well as maximize the sense of expanse to the east as the property adjoins a municipal park containing many mature specimen trees. Further, the arrangement of the first floor rooms provides an opportunity for the occupant to see and be engaged with the surrounding landscape in a way that blends the inside with the outside. Upon their arrival, they found very little existing landscape materials to warrant integration into a new garden scheme. Existing mature Fitzer trees planted up against the house were immediately removed, literally, as the movers were transporting items into the residence. This was a strategic move to underscore visual and physical relationship between the house and the surrounding landscape. With limited financial means and a good sense of value, the couple proceeded with site modifications and implemented an action plan that was supported by a sense of confidence, tenacity as well as intellectual and physical energy. The overall site plan was sketched out by one of the owners and submitted to her husband for approval or rejection. The landscape that exists today is the physical realization of the landscape scheme sketched up in the mid 1950s. The property has been designed as garden zones; the existing ‘L’ shape grassy lawn anchors the southern and eastern sectors of the property edged by a mix of large specimen trees with low ornamental tree plantings. Garden ‘rooms’ consist of terraces and paved areas that bring the inside of the house out to the garden. The driveway, parking court, terraces, lawns and planting beds work together in an interdependent relationship to create the sense of a unified whole. 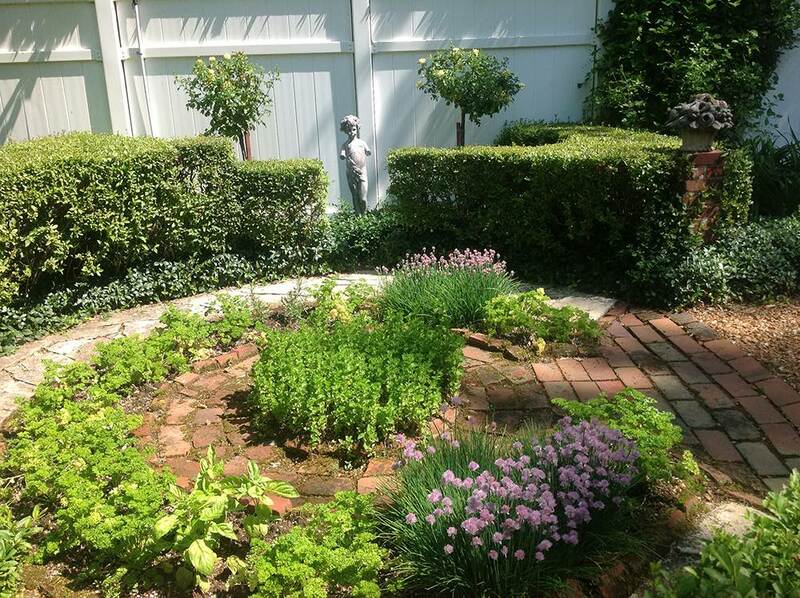 Early inspiration for the garden was found in a circa 1950’s copy of House & Garden where photographs of a small circular garden by landscape designer Perry Wheeler served as the basis for the herb garden. 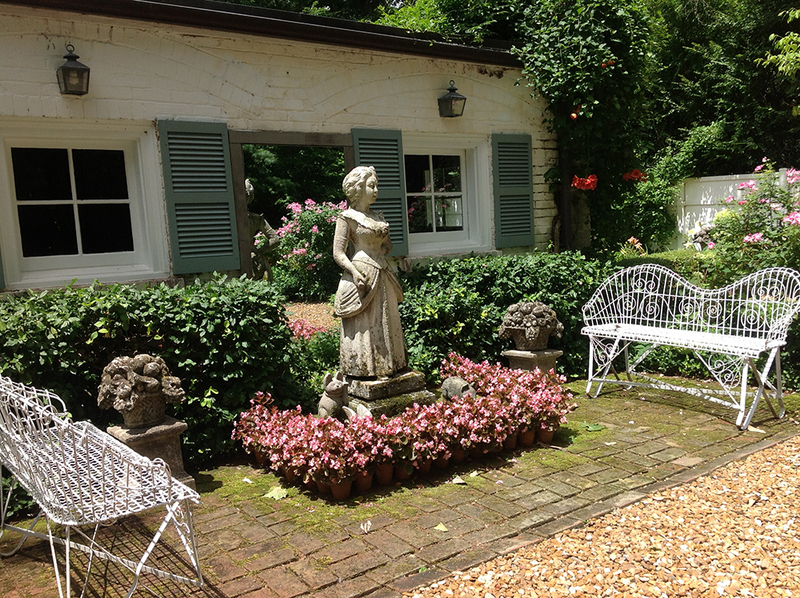 Perry Wheeler’s designs were well known to the couple as Dian’s mother retained Mr. Wheeler to design a garden for her home. Mr. Wheeler is well known for his collaboration with Rachel Lambert (Bunny) Mellon for the designs of the Rose Garden at the White House. In addition, the gardens at Sissinghurst Castle in Kent as designed by Vita Sackville-West served as the design inspiration for the garden behind the garden. 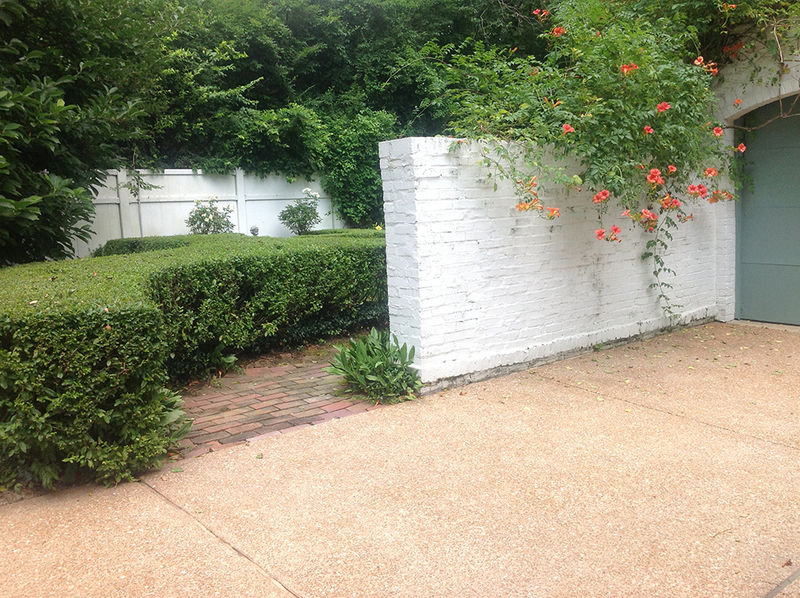 The owners recognized that the plants and flowers of Kent were not compatible with the climate of the Midwest in the United States, so regional adaptation prevailed as noted by the coincidental placement and growth of common trumpet vine up the garage wall to soften and enliven the formal arrangement of flowers and crisp clipped edges of low shrubbery. The first area for development was the parking court located in the northwest corner of the property. Undeterred by limited financial means and the lack of a crew of laborers and masons, the owners proceeded with the construction of the parking court walls as per the site plan. As a design-builder, one of the owners physically excavated and poured the wall foundations and laid up the brick; he would carry the mortar to the building site in the morning before leaving for his office, and she would lay the bricks while her daughter was taking a nap. She continued to operate as a designer-builder even through her pregnancy with the blessing of her obstetrician. 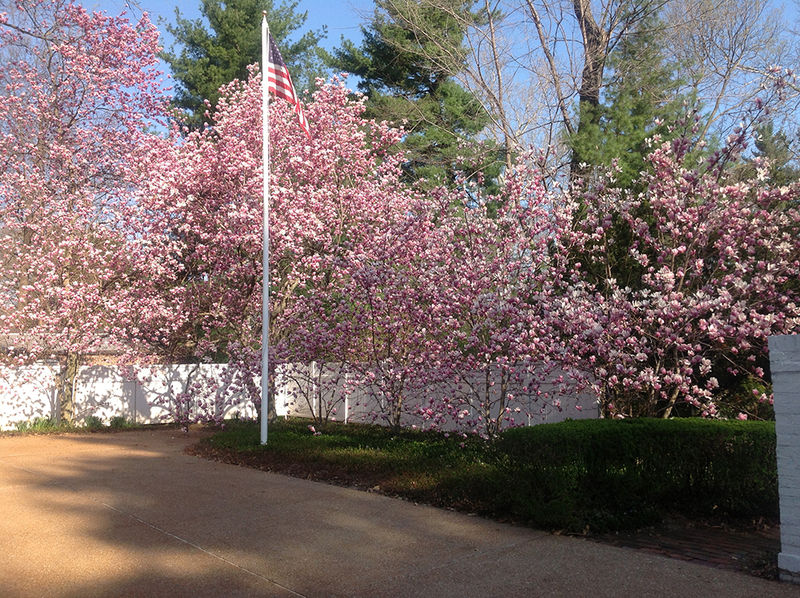 Today, the Parking Court is shaded by the presence of large mature saucer magnolia trees. Small statues representing the Four Seasons reside on the court entry walls to underscore that the house and garden are dynamic in each season. 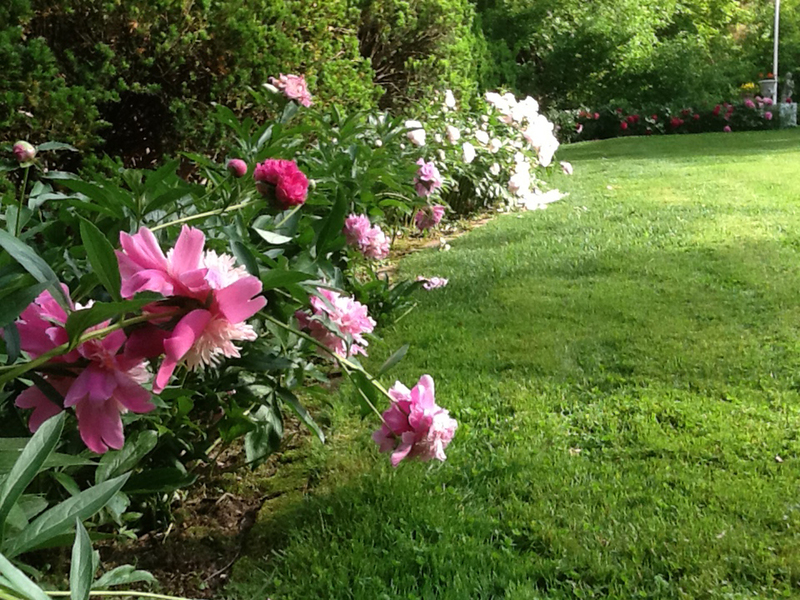 The planting border along the driveway was also developed at this time with the installation of Yew bushes to serves as a border backdrop for peonies and other seasonal perennials. 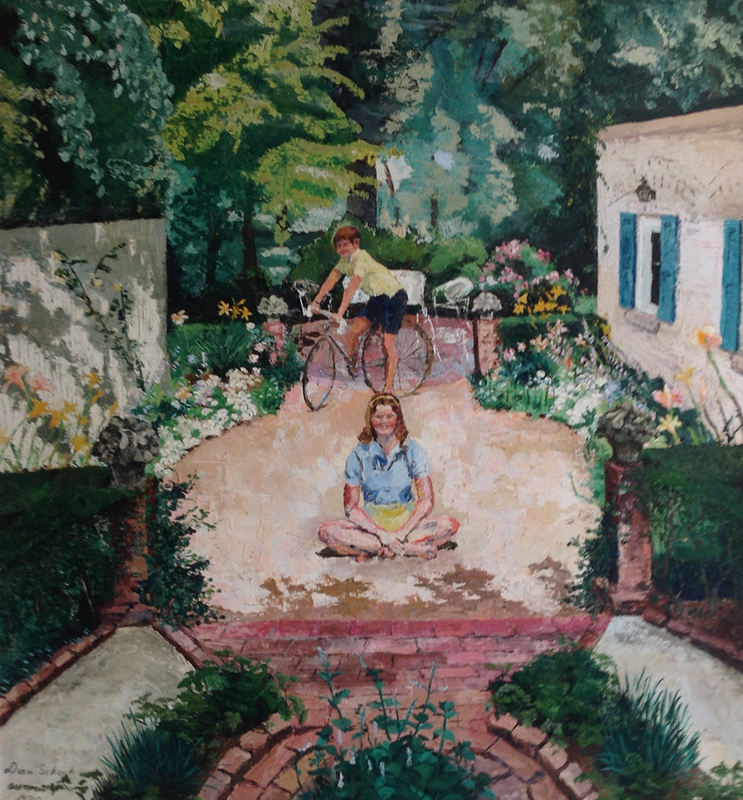 Over the past sixty years, the garden has been featured in various local media publications. 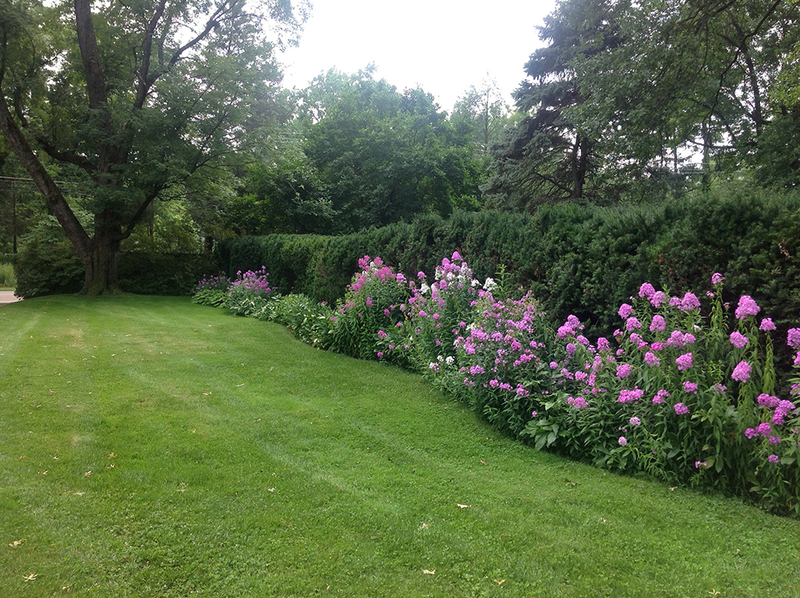 In the 1960s, an article in the St. Louis Post-Dispatch featured advice from the University of Missouri Extension on ideal growing conditions for trees, shrubs and landscape materials in the St. Louis Region. 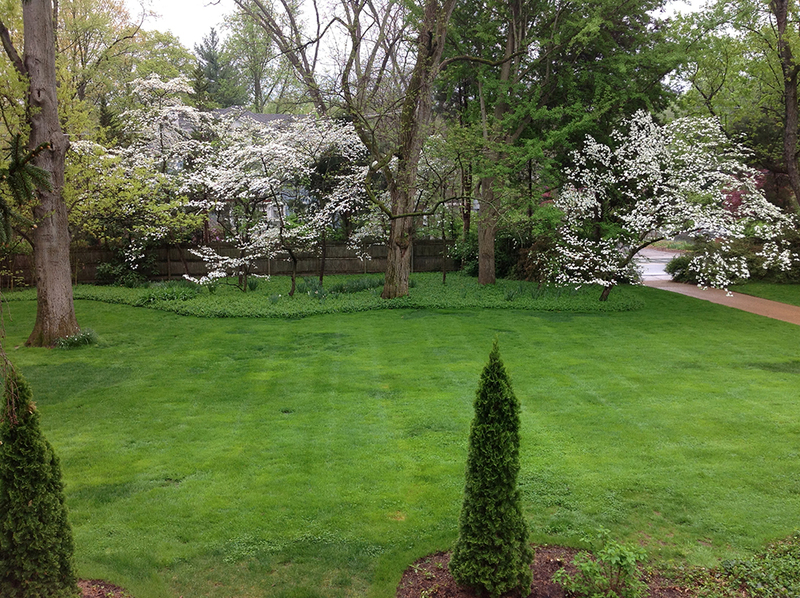 Their lawn was noted as possessing the ideal growing conditions for a lawn. 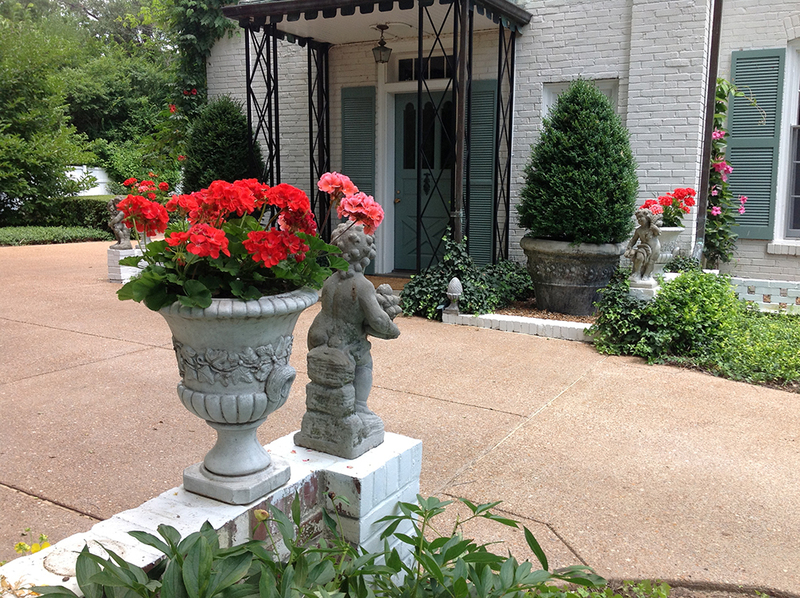 In 1995, St. Louis Homes magazine featured an extensive article with photographs of the then forty-year-old garden. The couple, under the pseudonym of ‘Bill and Mary Brookings,’ was quoted about the development and construction of the garden. Recognizing that the garden is a dynamic environment, the owners updated and replaced south terrace plantings in 2014 with the assistance of a landscape designer. 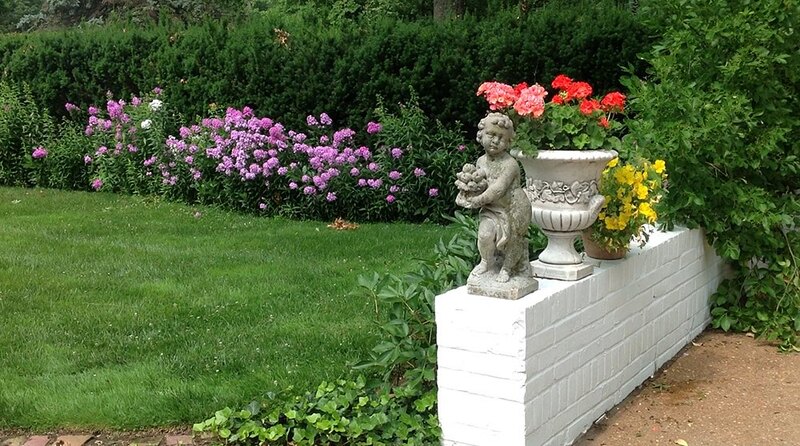 Groups of mature yew bushes anchoring the east and west corners of the south-facing terrace were replaced with groupings of upright conical arborvitae and hydrangea. The landscape designer’s new landscape plantings have reinforced the vertical characteristics of the south façade by the use of plant materials in columnar form and by association expanding the architecture into the garden. The garden continues to benefit from the planting of free tree starters from the Missouri Department of Conservation. Specimen and ornamental tree starters were planted along the property borders to underscore a sense of enclosure and screen the site from the adjoining neighbors. 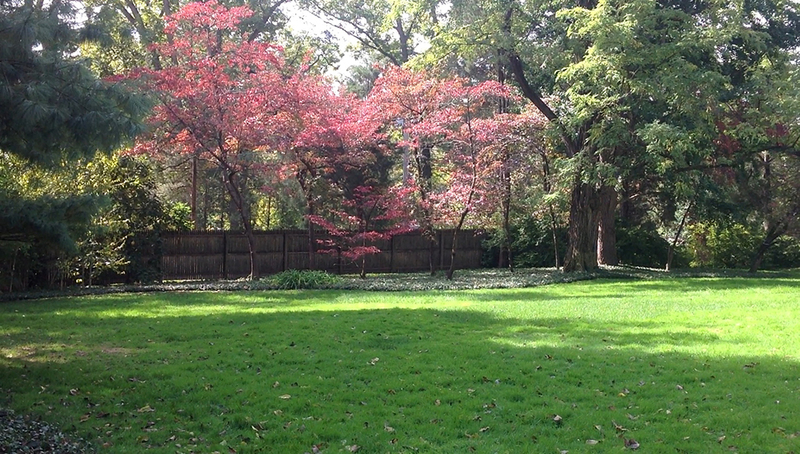 Today, fifty years later, mature white pines, dogwood and red bud trees thrive as underpinning elements in a lush tree border and provide protection to azaleas and other seasonal perennials. 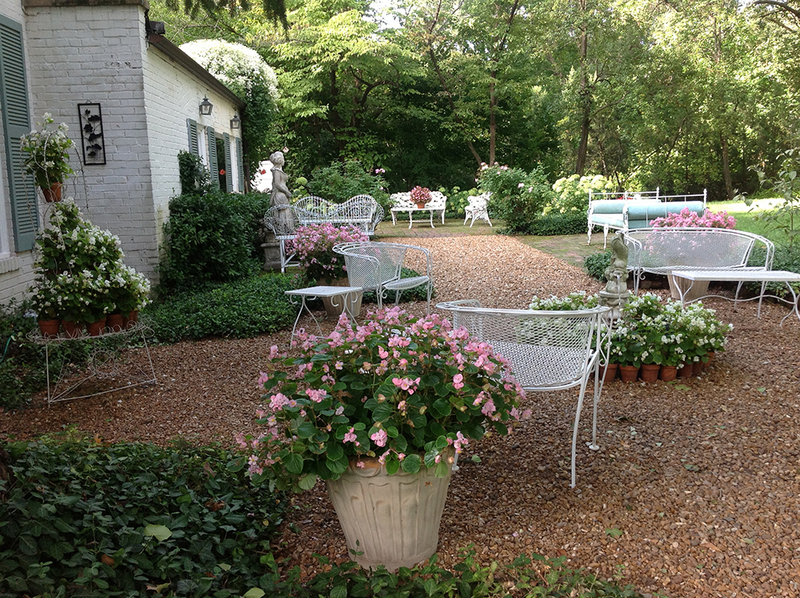 The owners enjoyed using their garden for lounging and entertaining. Several terraces were constructed between the house and the garden to serve as outdoor rooms. As with the parking court walls, one of the owners excavated, poured foundations, and laid up low brick walls to define the outer edge of the south-facing terrace. The south facing terrace contains a hybrid climbing rose ‘Aloha,’ which spreads between the two pairs of living room doors. In the summer, Mandevilla climbing vines in planter boxes anchor both ends of the south façade and compliment the formal arrangement of house façade, terrace and landscape plantings. 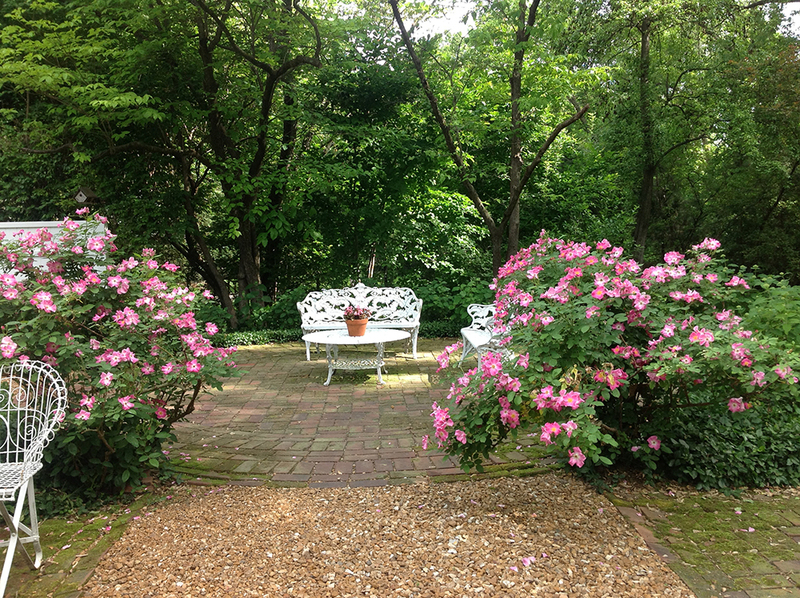 On the East side of the house, a terrace transitions from the south and runs northward to the rose garden. 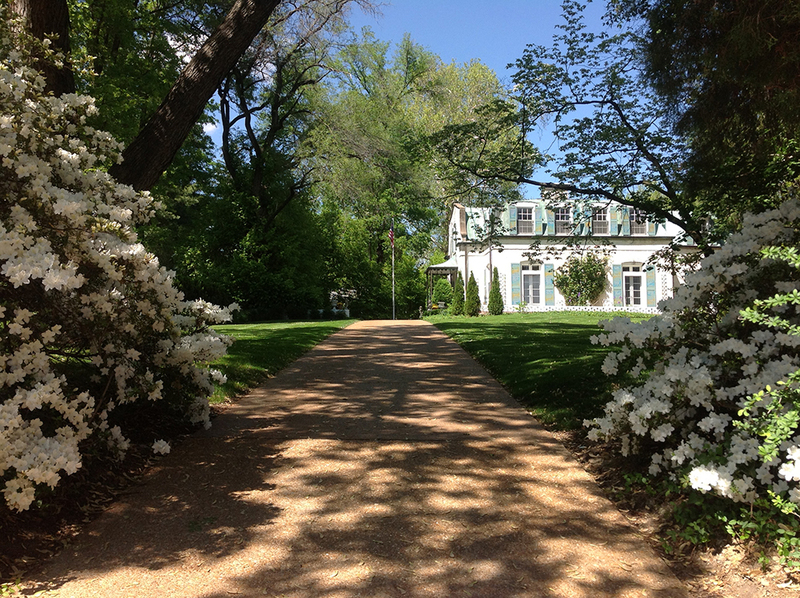 Evoking the terraces of France and complimenting the French Neoclassical style of the residence, locally attained Meramec River gravel was chosen as the ideal surface for the terraces. A small fountain, a limestone female figure reflected in a wall mirror and decorative elements in the swan motif of Josephine, Empress of France, evoke a sense of reverence for Imperial France. 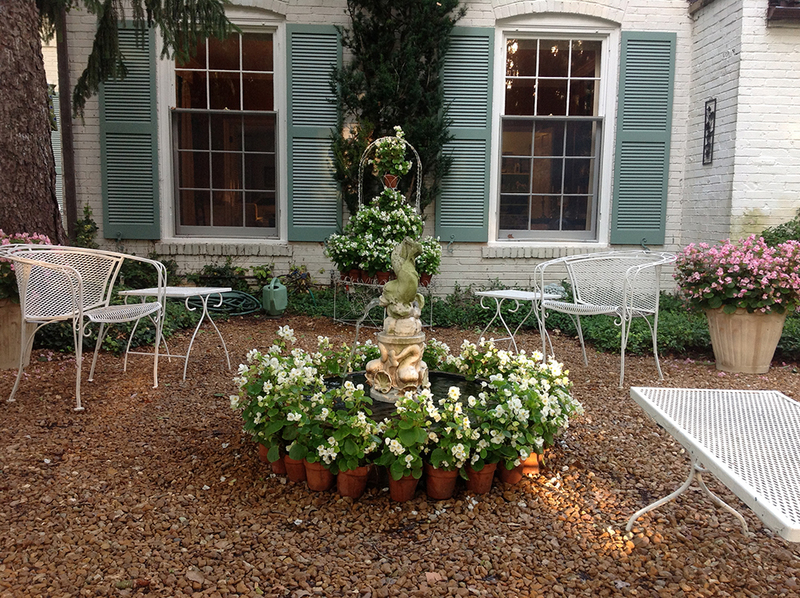 Nineteenth century garden furniture and potted plants can be moved and arranged to create various venues, both formal and informal. -Story contributed by Mark C.
Close up view of the residence from the southwest. Looking north, the driveway planting border in the late spring. Formal arrangement of walls designed and constructed by the owners in the 1950s. Garage walls with 'accidental' orange blooming trumpet vine. See also Archives of American Gardens, Garden Club of America Collection, The Garden of Dian C. Schock, St. Louis, Missouri (AAG#MO115).